Mercure.rocks is a brand new protocol allowing to push data updates to web browsers and other HTTP clients in a convenient, fast, reliable and battery-efficient way. It is especially useful to publish real-time updates of resources served through web APIs, to reactive web and mobile apps. Both Symfony and API Platform now have an official support for this protocol! From the ground, Mercure has been designed to work with technologies not able to maintain persistent connections. It’s especially relevant in serverless environments, but is also convenient when using PHP or FastCGI scripts. Mercure is basically a higher-level replacement for WebSocket. Unlike WebSocket, it is compatible with HTTP/2 and HTTP/3. It has been designed with hypermedia APIs in mind, is auto-discoverable through the Web Linking RFC and is also compatible with GraphQL. Because it is built on top of Server-sent Events and plain old HTTP requests, it is already compatible with all modern browsers, and requires 0 client-side dependencies. 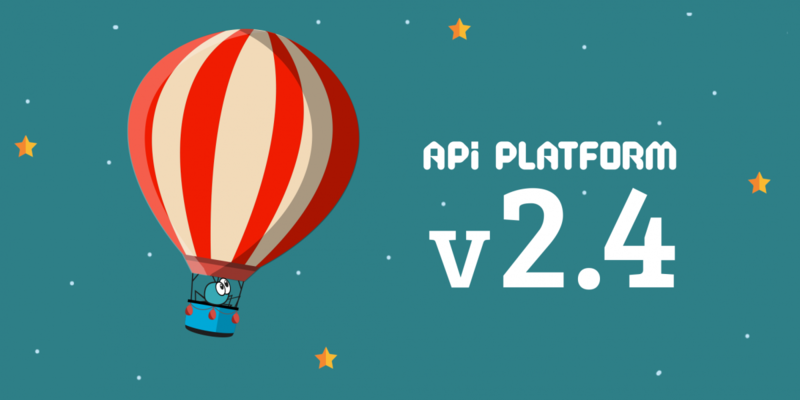 I’m pleased to announce the immediate availability of API Platform 2.4 beta! This new version is a huge one, that comes with a large set of new features. API Platform supports modern REST formats (JSON-LD/Hydra, JSONAPI, OpenAPI, HAL…) as well as GraphQL. To create your initial project, you just have to describe the public structures of the data to expose through the API. API Platform will take care of exposing the web API and bootstrapping the clients to consume it: get started with API Platform. The full changelog is available on GitHub. Let’s dive into these new features! MongoDB is one of the most popular NoSQL database. Native support for MongoDB was the most requested, and the most awaited API Platform feature! Sam Van der Borght started the work in March 2016. In July 2017 the Pull Request has been ported to API Platform v2 by Pablo Godinez helped by Hamza Amrouche (API Platform Core Team), Alexandre Delplace and others. Finally, since August 2018 Alan Poulain (API Platform Core Team and author of the GraphQL subsystem) produced a huge effort to finish and polish the patch. With 114 commits and 234 files changed over almost 3 years. This is one of the biggest contributions to the project. The support for MongoDB leverages the flexibility of API Platform: it has been implemented as a data provider and a data persister. Relations, pagination as well as boolean, date, numeric, order, range and search filters are also supported! 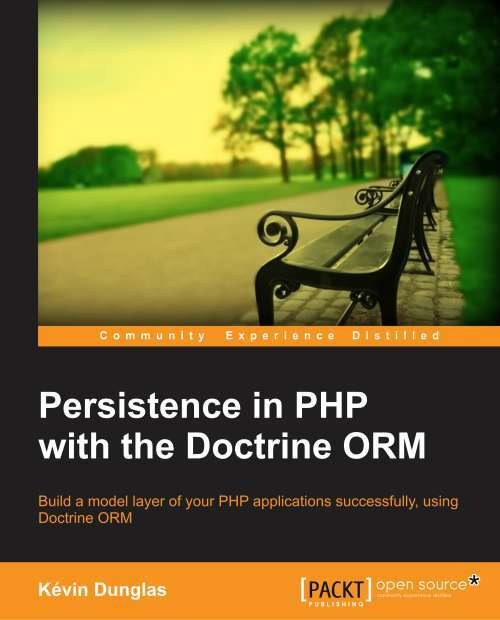 A big thanks to all contributors of this amazing feature, and to Andreas Braun, the maintainer of Doctrine MongoDB ODM, for the in-depth reviews! Elasticsearch is another very popular open-source data store. It allows to perform full-text searches and advanced analyzes on very large datasets. Orange has sponsored the development of an Elasticsearch data provider for API Platform, as well as some interesting search filters. 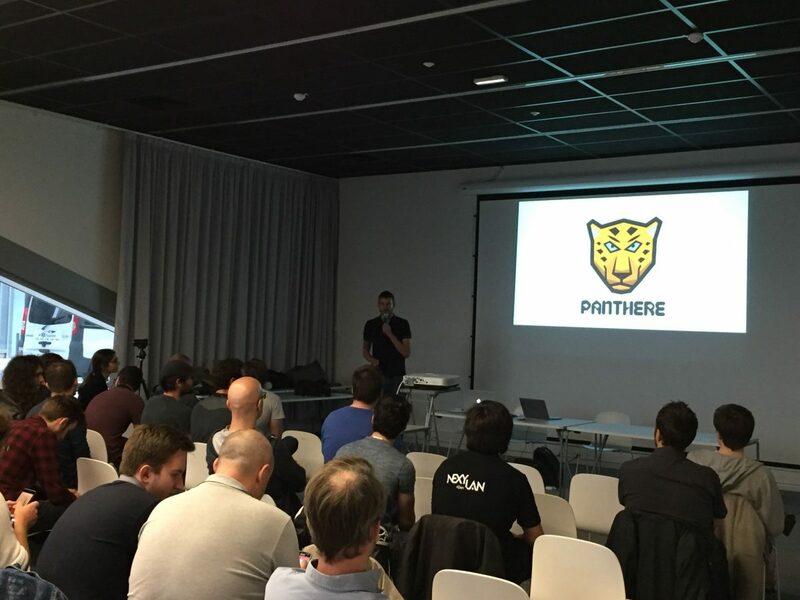 The implementation has been realized by Baptiste Meyer (API Platform Core Team). Thanks to Orange, this feature is now available for everybody in API Platform 2.4. Then, you can use an URL such as /tweets?message=foo to search using Elasticsearch. Keep in mind that it’s your responsibility to populate your Elastic index. To do so, you can use Logstash, a custom data persister or any other mechanism that fits for your project (such as an ETL). Baptiste also took this opportunity to improve the code handling the pagination. It is now a generic class used by all native data providers (Doctrine ORM, MongoDB and Elasticsearch), that you can reuse in your own. Read and improve the Elasticsearch related documentation. 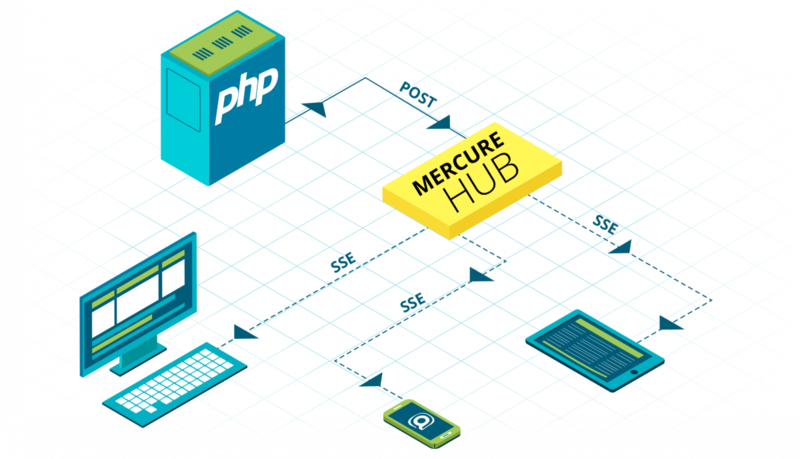 Mercure is a brand new protocol built on top of HTTP/2 and Server-sent Events (SSE). It’s a modern and high-level alternative to WebSocket (WebSocket is not compatible with HTTP/2). Mercure is especially useful to publish updates of resources served through web APIs in real time. It is natively supported by modern browsers (no required library nor SDK) and is very useful to update reactive web and mobile apps. In version 2.4, I added Mercure support to the server component of API Platform and to the React and React Native app generators. The Docker Compose setup provided with API Platform has also been updated to provide a Mercure hub. Read and improve the Mercure subsystem documentation. 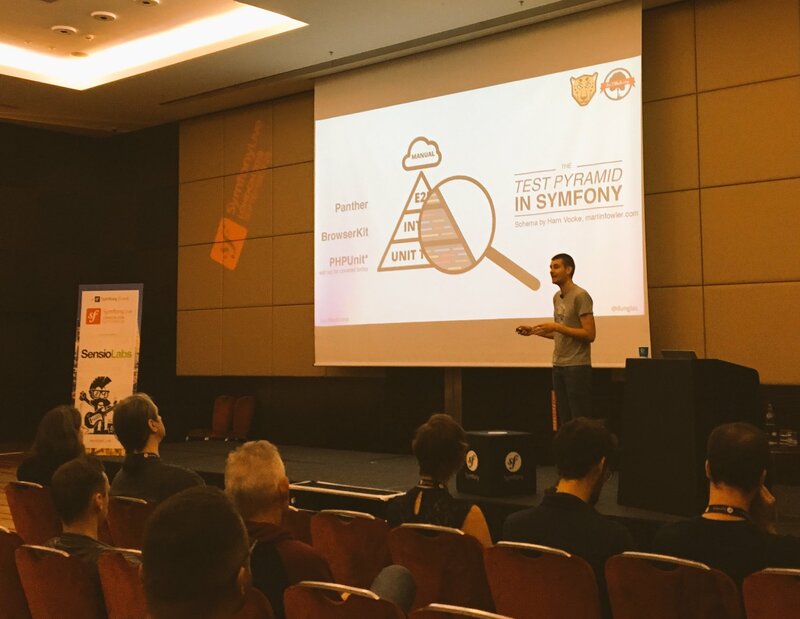 Messenger is a new Symfony component created by Samuel Roze (Symfony and API Platform Core Team). It allows to dispatch messages using message queues (RabbitMQ, Kafka, Amazon SQS, Google PubSub…) and to handle them asynchronously. It provides a message bus that is very useful to implement the CQRS design pattern. That’s all you need to use Messenger! Read and improve the Messenger subsystem documentation. HTTP/2 allows a server to pre-emptively send (or “push”) responses (along with corresponding “promised” requests) to a client in association with a previous client-initiated request. This can be useful when the server knows the client will need to have those responses available in order to fully process the response to the original request. This is capability is especially useful for REST APIs performance: it allows the server to instantly push the relations of the current resource that will be needed by the client, even before the client knows that it will have to issue an extra HTTP request. Thanks to the push attribute, if the client asks for /books/1 the web server will directly send both the requested book resource and the related author (e.g. /authors/12) to the client. For best performance, this feature should be used in conjunction with the built-in HTTP cache invalidation system (based on Varnish). Read and improve the HTTP/2 Server Push subsystem documentation. The UI is built client-side dynamically by parsing the API spec. 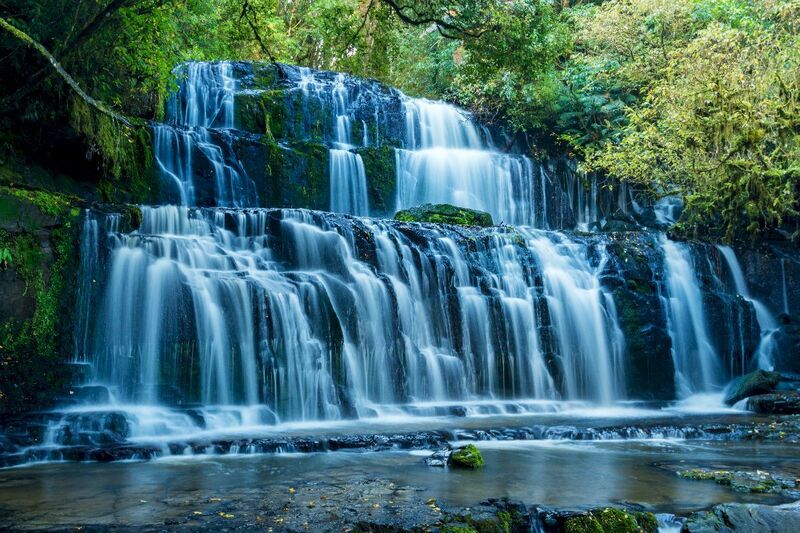 Awesome isn’t it? Jean-François also added some convenient helpers to help customizing the admin, and Laury Sorriaux fixed a long standing limitation: it’s now possible to use the admin even with API not served at the root of the domain (such as /api). 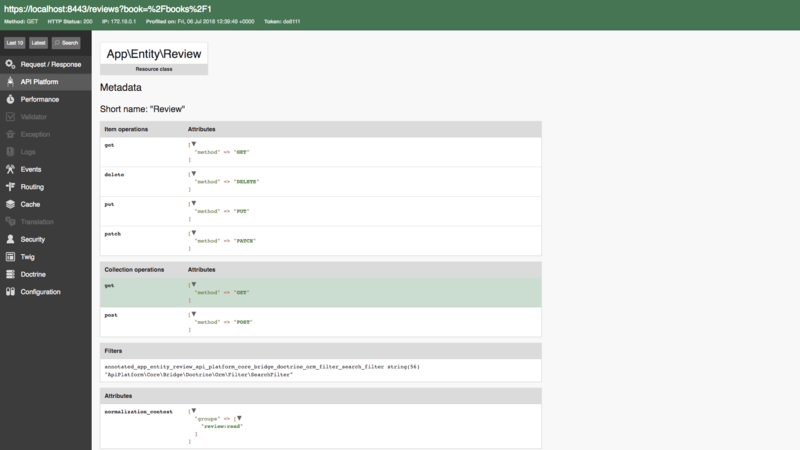 Read and improve the docs of API Platform Admin. API Platform 2.4 now fully support the new version of the OpenAPI (formerly Swagger) specification format (v3). It also leverages new features introduced by this version such as links. To retrieve the OpenAPI specification of the API in version, use the following url: /docs.json?spec_version=3. OpenAPI v3 support has been contributed by Anthony Grassiot (API Platform Core Team). ReDoc integration has been contributed by Grégoire Hébert. A big thanks to them! 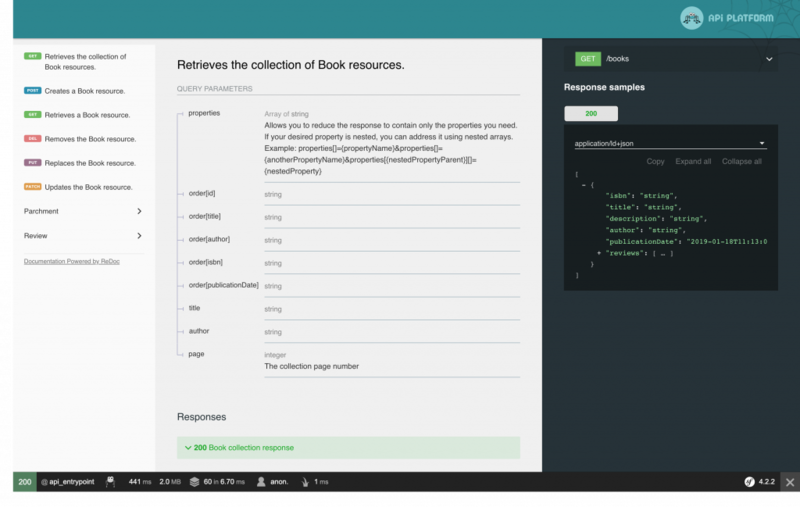 Read and improve the OpenAPI related documentation. The new input and output attributes allow to use specific classes respectively for the writeable and the readable representation of the resource. As demonstrated in the example using Symfony Messenger, it’s also possible to set these new attributes to false to hint that the operation will take no inputs or no outputs. These new attributes are automatically taken into account by all API Platform subsystems, including GraphQL, Hydra and OpenAPI. Read and improve the DTO related documentation. With this config, API Platform will automatically generate the following Cache-Control HTTP header: Cache-Control: max-age=60, public, s-maxage=120. Thanks Daniel! Read and improve the HTTP cache headers documentation. The Sunset HTTP response header field indicates that a URI is likely to become unresponsive at a specified point in the future. Read and improve the documentation related to API evolution. API Platform 2.4 is available for download on GitHub. While you are here, if you like the project, help us making it popular by starring it on GitHub! This attack raised, again, the problem of the JS dependency cascade: when you install a major project, it comes with hundreds of tiny libraries, sometimes not maintained, and sometimes coming from untrusted sources. Regarding Symfony, as a maintainer I have the feeling that the Symfony Core Team (carefully) adds dependencies only when strictly necessary. However I had no metrics to prove it. So I checked. Then I compared with other PHP frameworks I’m interested in: Laravel and API Platform. Among these vendors, 7 are directly maintained by members (or former members) of the Symfony Core Team (easycorp, monolog, sensio, swiftmailer, symfony, twig, webmozart) and 2 are from the FIG. All these few libraries, except maybe jdorn/sql-formatter, are actively maintained, by prominent and well known members of the PHP community. A minimal installation of the server part (the one written in PHP) of the API Platform framework contains only 27 packages (26 without dev deps) from 5 vendors. When installing the API pack, that provides all features you can expect from an advanced web API (hypermedia support, automatic persistence with the Doctrine ORM support, automatic generation of human-readable documentation, CORS support, authorisation rules…), 57 packages (56 without dev deps) from 10 vendors are shipped. The default installation of Laravel (that is somewhat similar in term of features to the Symfony website skeleton) comes with 72 packages (39 when excluding dev deps) from 35 vendors (21 when excluding dev deps). The number of maintainers you have to trust when using Laravel is just a bit larger than when using Symfony, but again it’s still a bunch of people that are well known in the PHP community, and who may fit in a single room. In comparison, a default installation of React using Create React App – that is more similar to the minimal Symfony skeleton than to fully-featured frameworks such as the Symfony website skeleton or Laravel – comes with 809 packages, most of them being maintained by different teams or individuals. Another main difference is that most JS libraries are distributed as compiled and minified builds. Therefore it’s very difficult to guarantee that what is shipped and executed behaves exactly the same way than the code in the sources. In PHP, the source of the libraries are used directly, without intermediate obfuscation. PHP builds are easy to reproduce, it helps a lot when auditing. Of course, it doesn’t mean that major PHP frameworks are immune to this kind of attacks and – as any IT project – they also have their own security issues. However, the amount of third party code installed and the chain of trust you have to rely on is more under control than in the JS world. By the way, you’d better actively monitor the security vulnerabilities that may affect your PHP projects. HTTP/2 can improve the loading time of webpages up to 2 times. Did you know that it’s very easy to optimize your Symfony applications to leverage the advanced features of this new protocol? 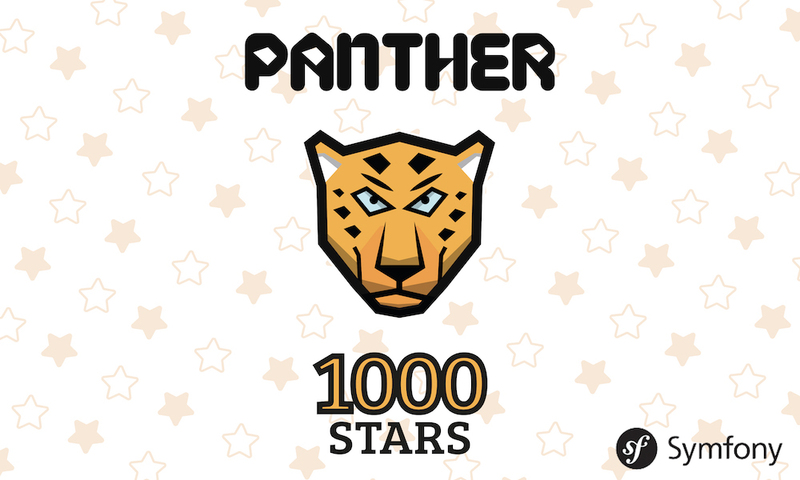 Today, Panther reached 1,000 stars on GitHub! I’ll speak at several conferences until the end of 2018. HacktoberFest & Sylius Week @ Les-Tilleuls.coop (Lille, October, 6th): surprise talk + workshop! I’ll also be available to chat, and I’ll carry a lot of API Platform goodies. Don’t hesitate to get in touch!